Puffin Web Browser is an application for mobile / tablet running on Android platform. This browser allows you surfing the Internet quickly and can play any flash file, whether or not the processor phone supports Adobe Flash. Since we use Java applications in the form, looking for a browser to surf the internet quickly, that can play youtube videos and online games in flash format that you play. In that format jar, I could not find any browser that meets my desires. Time passed, technology evolved and we advanced Android. We tested the default Android browser was pretty good, but not enough to thank me. Looking for a browser that supports flash, especially for games after fakebook and Forums. I tried a lot of browsers Opera, Dolphin, Skyfire, etc. but none satisfied me, until I found Puffin browser. 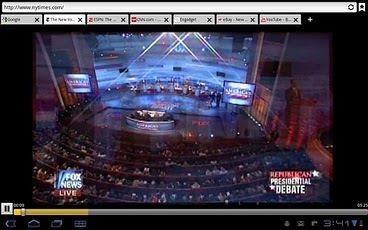 Puffin Web browser supported flash format, given that most online games are built in flash format. It can also play video files from YouTube and other video sources and can open multiple windows (tabs). 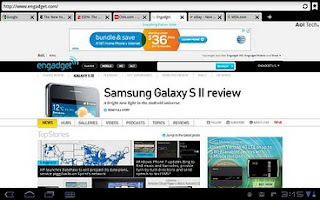 Using this browser we can enjoy features such as bookmark, Clear Cash / Cookies / History. An important function of the browser is Pop-up Blocker. To use an Internet connection is required. Puffin Web browser is nice and pleasant sailing! Puffin 16.2921 Web Browser is compatible with Android Froyo 2.2 or higher, and is currently available via download Puffin Web Browser from Android Market, priced at $ 0.99.